TOKYO, Japan, August 4, 2011 (ENS) – Evacuation advisories for areas 20 to 30 kilometers from the damaged Fukushima Daiichi nuclear power plant will be lifted within weeks, according to a recovery timetable released on Wednesday by the Japanese government. Areas closer than 20 km will remain off-limits. The government proposes removing the evacuation requirement later this month or in early September, since the situation has improved at the plant operated by Tokyo Electric Power Co., TEPCO. 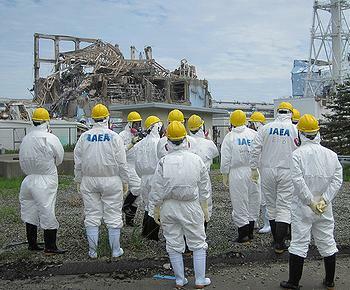 TEPCO said today that it has accomplished Step 1 in its roadmap towards restoration. “Radiation dose is in steady decline” has been confirmed, the company said in a statement. “By bringing the reactors and spent fuel pools to a stable cooling condition and mitigating the release of radioactive materials, we will make every effort to enable evacuees to return to their homes and for all citizens to be able to secure a sound life,” said TEPCO. A 9.0 magnitude earthquake on March 11 and the resulting tsunami, destabilized the Fukushima Daiichi power plant. The nuclear fuel cooling systems lost power and shut down. Explosions of hydrogen gas in three of the plant’s six reactors released radiation, and water pumped in to cool the fuel carried radiation into the sea. Attempts to cool the fuel did not prevent partial fuel meltdowns in several of the reactors. The situation was given a Level 7 status by the UN’s International Atomic Energy Agency, a rating equivalent to that of the 1986 accident at Chernobyl. Residents in the 20 to 30 km zone are currently advised to stay indoors and prepare for emergency evacuation. Many residents there have fled; schools and hospitals are closed. The government says it will negotiate with local municipalities this week on reconstruction plans that include reopening hospitals and other public services and decontaminating schoolyards. The government says it will support the local governments to help them bring residents back home. Yet, although the situation is said to have improved, radioactive material is still leaking from the plant. TEPCO said Tuesday that it has detected the highest confirmed indoor level of radioactivity at the facility since the March accident. TEPCO said Tuesday that the level in a room on the second floor of the Unit One reactor building was 5,000 millisieverts per hour. On Monday, a level of 10,000 millisieverts per hour was detected near pipes outside the building. TEPCO says the level was so high because pipes running through the room were used to vent air containing radioactive substances from the reactor on March 12. The utility restricted access to the room, saying it will consider measures to block the radioactivity. The company does not need to enter the room to bring the damaged reactor under control. The Japanese government has ordered a fourth prefecture to suspend shipments of beef cattle due to radioactive contamination. Tochigi was ordered to suspend beef cattle shipments, following similar orders affecting Fukushima, Miyagi and Iwate prefectures. The government ordered the ban Tuesday after beef from four animals shipped from two municipalities in Tochigi prefecture was found to contain unsafe levels of radioactive cesium. The government said rice straw left in paddy fields after the harvest was contaminated by radioactive nuclides from the Fukushima Daiichi nuclear power plant. After the rice straw was fed to beef cattle, radioactive cesium which exceeds the levels set by the Food Sanitation Act was detected in the beef. The government says it will allow shipments to resume if radiation levels of all beef from contaminated farms as well as from other farms, test within the safety limits. In addition, the Japanese government says that rice harvested in the coming months will be tested for radioactivity. The agriculture ministry announced at a meeting of rice farmers on Wednesday that rice grown in areas with high levels of radioactive cesium in the soil will be tested both before and after harvest. Fourteen prefectures from northeastern through central Japan will be subject to the inspections. If the amount of cesium in the post-harvest test exceeds the government safety level of 500 becquerels per kilogram, shipments of rice from that area will be banned. Farmers will be required to dispose of the banned rice, but TEPCO will compensate them for their rice. Meanwhile, political fallout from the accident continues. Three government officials in charge of nuclear power safety and policy were fired today amid indications that the Japanese government has grown scandalously close with the nuclear power industry. Japan’s Minister for Economy, Trade and Industry, Banri Kaieda, said the three officials were responsible for mishandling the nuclear accident. Those fired are the head of the nuclear safety agency, Nobuaki Terasaka; the head of the agency for natural resources and energy, Tetsuhiro Hosono; and the vice-minister for economy, trade and industry, Kazuo Matsunaga. 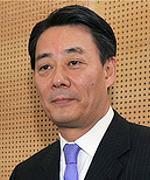 “We want to refresh and revitalize the ministry,” said Kaieda.